So, this is the section where I try to convince you to give Paleo diet and lifestyle a real go. Everyone gets into Paleo for different reasons and experiences different results and changes in their bodies, mood and energy levels. But pretty much everyone agrees that eating Paleo/Primal way makes you feel pretty damn awesome. Let’s go through a list of reported and known benefits (taken from multiple success stories, studies, books and articles). 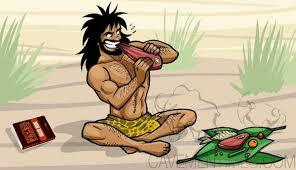 What’s the difference between Paleo & Primal diets? Paleo and primal diets consist of real, whole foods – except for some natural but bottled or packaged sauces, condiments and ingredients – so you automatically eliminate a whole range of preservatives, hidden sugars, sodium, additives, colouring, artificial flavouring and who knows what else. As a result you eliminate unnecessary toxins and consume more nutrients, plus the food tastes so much better. One of the misconception about the Paleo diet is that it’s all about protein and fat. What many don’t realize is that by eliminating nutrient-void processed carbs – I call them fillers – we supplement with loads of vegetables, healthy fats, nuts, seeds, berries and fruit, all of which are full of minerals and vitamins. Combine that with the improved gut health and increased nutrient absorption which happens through avoidance of irritating grains and legumes, and you get a very balanced diet. You’d be surprised that we can get pretty much all required nutrients from animal, seafood and plant based foods. Most people experience weight loss and muscle growth while eating a paleo diet and keeping an active lifestyle. Improved metabolic processes and gut health, better sleep, stress management, sufficient Vitamin D and a healthy ratio of Omega-3/6 fatty acids all aid in burning off stored body fat. Paleo diet provides lots of fiber, which together with adequate H2O intake and a smaller intake of sodium help to decrease the bloat many people experience on a Western diet. Plus, paleo diet helps to improve the gut flora which is essential in keeping a healthy digestion. Hangry is a combination of hungry+angry, which is a common symptom for many people suffering from acute or chronic hyperglycemia.. This also happens when the blood sugar drops and the person gets a rapid onset of hunger accompanied by irritability, fatigue, disorientation, and a foggy mind. Meals consisting of protein and fat are very satiating. The energy your body gets from fat, protein and some glucose from low GI carbs is released slowly and evenly throughout the day. As a result, the blood sugar levels stay stable and you rarely experience energy drops; hunger develops gradually without the crazy mood swings. 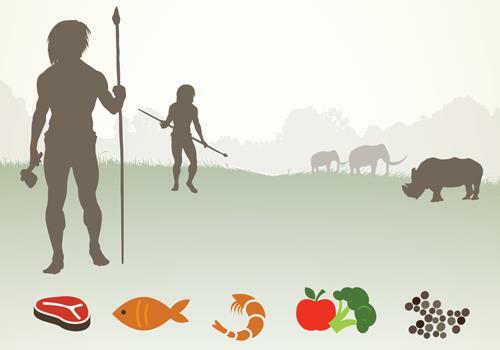 Paleo diet promotes healthy saturated fat from grass fed meat, poultry, seafood, ghee, butter and coconuts; lots of monounsaturated fat from olive oil, nuts and seeds and a small amount of polyunsaturated fats; no trans fats; a healthy ratio of Omega-3 to Omega-6 fatty acids. The right types of fat are essential in maintaining healthy arteries, brain function, healthy skin, as well as decreasing systemic inflammation. Increased and more stable energy levels Improved sleep Clearer skin and healthier looking hair Mental clarity Improved mood and attitude Improvements in those suffering depression or anxieties Less or no bloating, decreased gas Sustained weight loss Muscle growth; increased fitness Lowered risk of heart disease, diabetes and cancer Higher immune function and a general feeling of well being Improved glucose tolerance; decreased insulin secretion and increased insulin sensitivity Improved lipid profiles Healthier gut flora Better absorption of nutrients from food Reduced allergies Paleo diet is anti-inflammatory, most people experience reduction of pain associated with inflammation Improvements in those with respiratory problems such as asthma.